Search engine marketing loves its buzzwords, and the fact we are continually updating processes means coining new terms on a regular basis, for the array of activities undertaken. At its core, digital marketing is knowing your customer, understanding their needs and using appropriate channels to deliver on those needs. Through testing, learning and improving, we can deliver the right content to the right person. But what happens when we teach this trade to a machine? I give you the latest buzzword to hit the industry: machine learning. At first, Google Adwords used machine learning to help advertisers tailor their adverts and attract relevant traffic to websites. More recently, machine learning has become a core component of the Google search engine and been given the rather megalomaniacal title ‘RankBrain’. With deep learning, RankBrain is developing independently of human intervention. Whilst Google looks at hundreds of different ranking factors, RankBrain uses machine learning to combine many factors into one, which means these factors are weighted differently for each query. This means it is entirely possible that even Google’s own engineers may not know the exact composition of their highly complex algorithm. With deep learning, RankBrain is developing independently of human intervention. RankBrain has been part of Google for almost a year now, and traditional search engine marketing techniques are updating to keep up. Machine learning is essentially the science of finding particular patterns and trends in complicated, real-world data by using algorithms that iteratively learn from data. Machine learning allows systems to discover insights without being explicitly programmed where to look. The automated nature of machine learning applications enables companies to make educated, data-driven decisions in real-time. We can see the increase in machine learning around us. At home, Amazon and Netflix offer us recommendations, and on the road, the self-driving car from Google embodies the very essence of machine learning. In banking and security, machine learning is used to spot fraud and detect cyber crimes. In business, machine learning algorithms are being used to predict promising trends in the stock market, as well as aid in customer segmentation. Thanks to RankBrain, search engine optimisation will need to work closely with content marketing to improve dwell time and engagement. RankBrain is now the ultimate arbiter of rank and can act as a never-ending quality controller, to improve or reduce your rankings in search. To begin with, Google will return a set of relevant organic search results that are largely based on conventional ranking factors. It is then that machine learning kicks in and checks if any humans have clicked on the result and engaged with the content. As time goes on, it will be less about how many links you have pointing at your page or whether it’s optimied with all the right keywords – if the engagement is too low, then you’re off page one. 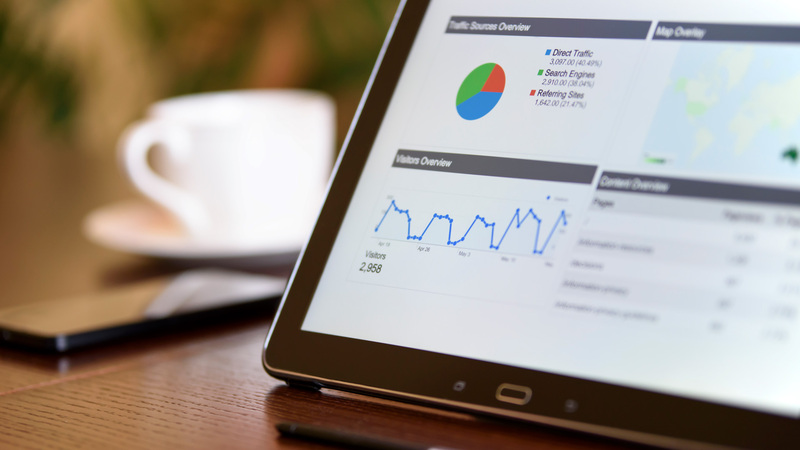 This won’t happen overnight, however, as Google will continue to present your page for relevant search results until it has sufficient data that it is not engaging. From then, it will present the page less and less each month until it falls out of ranking contention. Google’s search engine has to deliver high quality, useful, evergreen content if it wants to stay relevant and successful. RankBrain is Google’s Robocop; part human, part machine and all about the quality. Marketers are asking data scientists what is possible, how they can make better campaigns and how can they can build it into their systems. In a basic way, using dynamic ads and optimising them for the highest click-through rate is already machine learning. However, what’s great is that we can see the patterns or trends where we need to focus our time. The insights from machine learning make us a lot more strategic in what we’re doing, as opposed to just pushing buttons. Similarly, the complex algorithms can make changes en-masse to large scale PPC accounts in real-time, freeing up time for account managers to concentrate on the strategy and process. At present, you will still need a human holding the leash, because an algorithm is only as good as the rules or processes that you put in place. In these early years, the systems will still need a person propagating what is a good idea and what isn’t, but at some point, the machine will stop asking questions and simply tell users what is significant or relevant. We’ve barely scratched the surface of machine learning and marketers are asking data scientists what is possible, how they can make better campaigns and how can they can build it into their systems. Over the coming months, agencies need to educate clients and be fully transparent in the adoption of machine learning, sharing the benefits and outlining possible issues.